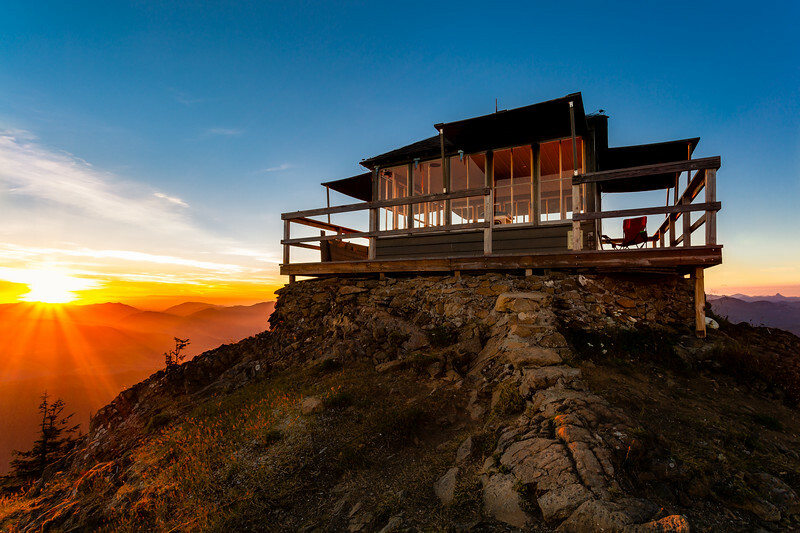 Kelly Butte is a National Forest Service Fire Lookout located near Crystal Mountain Ski Resort and the town of Greenwater. 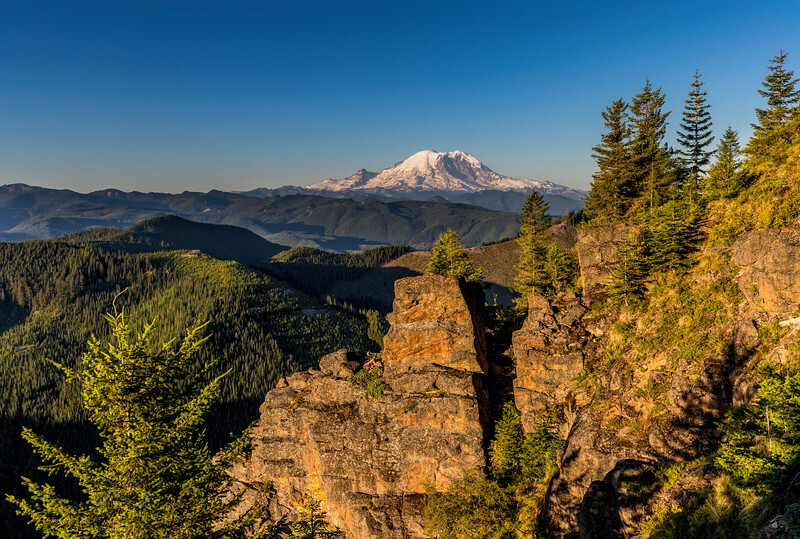 Kelly Butte sits at 5,379 feet and on a clear day you have amazing 360 degree views, including Mt Rainier, Mt Stuart and even Mt Baker. In 1926, Kelly Butte was built by the Civilian Conservation Corps and updated again in 1950. In 2007 Bob Adler and a group of volunteers spent a few years restoring Kelly Butte. The lookout was in bad shape due to the harsh conditions and lack of funding for maintenance. 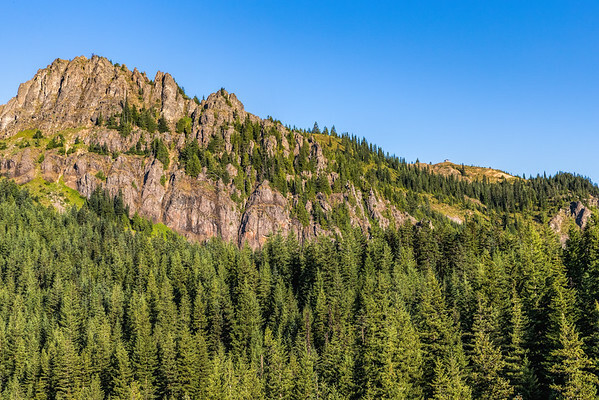 Once you reach the Kelly Butte Trailhead (see driving directions below) you will park your car and start your hike. The hike is 1.7 miles each way and the first .7 is an easy walk so enjoy it while you can. You’ll come to an opening with Mt Rainier on the left and a small sign that points up and to the right that says, “trail”. The trail is easy to follow because many times you only have one option as to which way to go. The good news is the once you get on the trail, the hike is only about a mile. The bad news is the elevation gain is 1,100 ft. 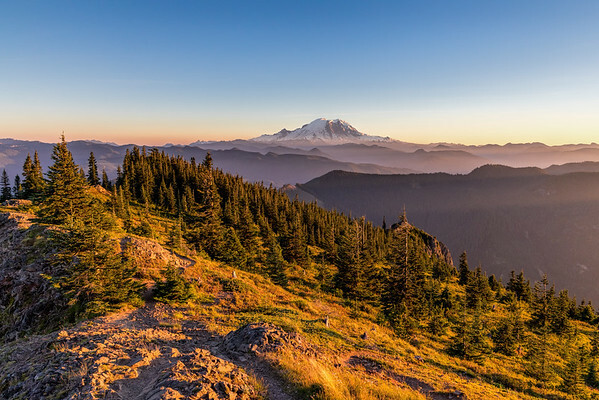 The incline becomes very steep and there are a lot of switchbacks, so take your time and enjoy the great views of Mt Rainier and the surrounding peaks on the way up. After the switchbacks, you will meander through brush and wild flowers. 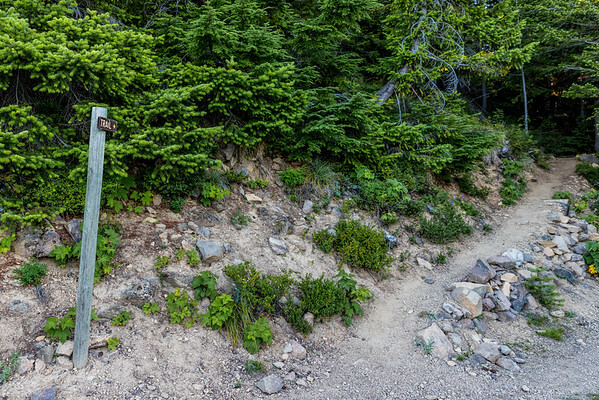 Keep following the narrow, often overgrown pathway until you come to a short but steep area to the top of the ridgeline and the fire lookout will come into view perched at 5,379 feet. At the top of Kelley Butte you have 360 degree views and a fair amount of land to explore. The door to the lookout is usually open so stop in and sign the guest book. 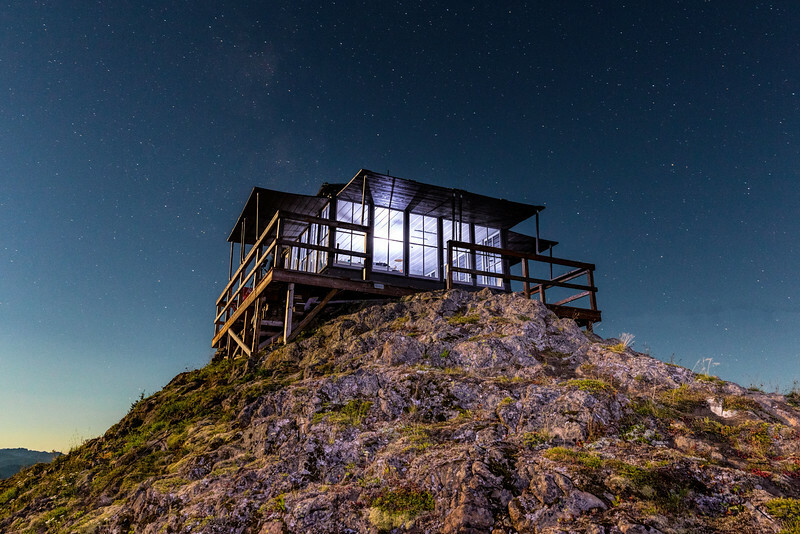 The Kelly Butte lookout is staffed by volunteers from July – September. 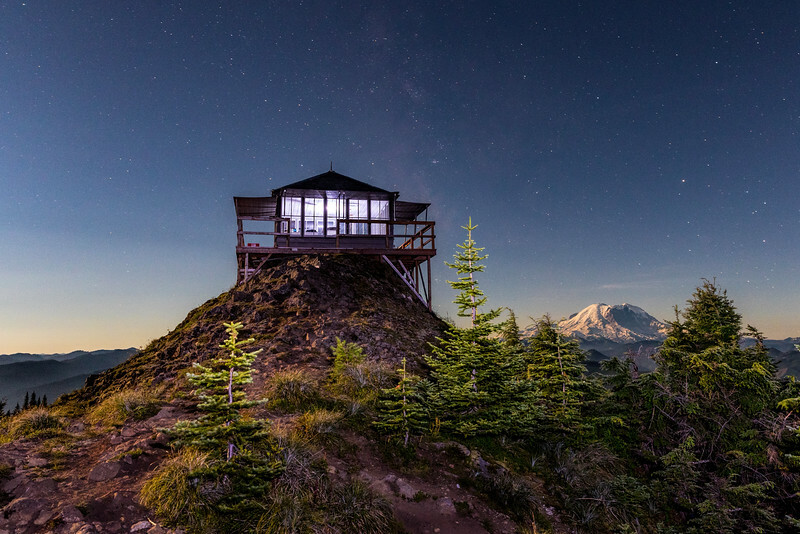 Spending the night in a lookout and experiencing a dark night with stars or a bright moon over Mt Rainier is a great experience. You can also feel good about helping out our National Forest Service. If you are interested in volunteering contact the Snoqualmie Ranger District, Enumclaw Office at 450 Roosevelt Avenue E, Enumclaw, WA 98022 - (360) 825-6585. Get your name on the volunteer list by May, and attend the volunteer meeting the first part of June. A drawing is done to determine the order and you can pick up to two 12pm-12pm time periods. 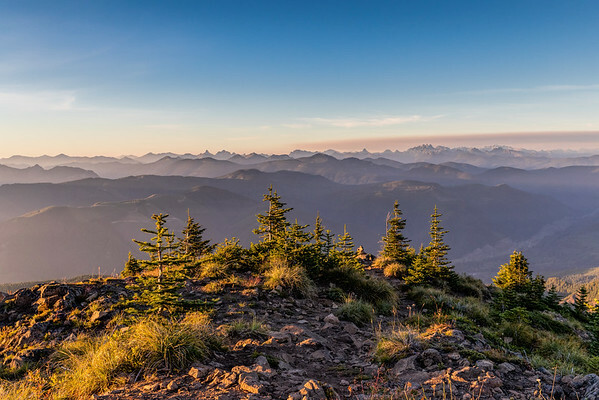 The Enumclaw office is also responsible for the Suntop Lookout about 25 miles from Kelly Butte. 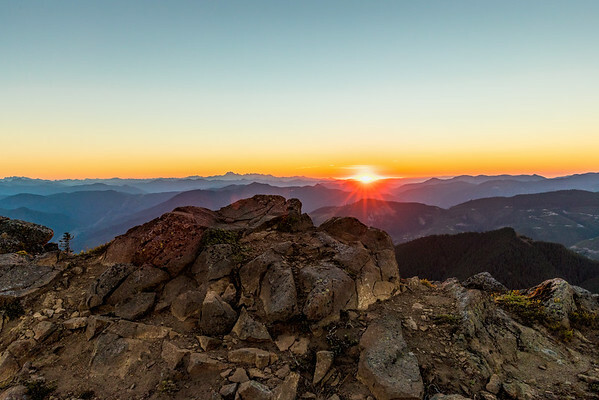 The Suntop Lookout is very popular since you can drive right to the top and doesn’t require any hiking. 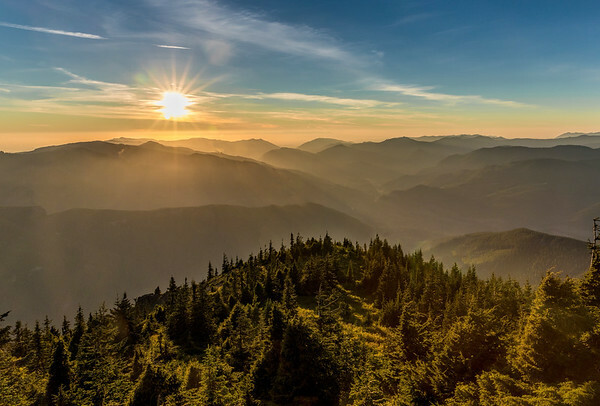 Driving Directions to Kelly Butte Trail: From Enumclaw, travel east on SR410 for 18 miles through Greenwater, continue another 2 miles and turn left on Forest Road 70. In 8 miles, turn left onto road 7030 which will change from a paved road to gravel. You’ll cross a bridge, and then in another 2.6 miles turn left at the T-intersection. In another .5 of a mile continue straight (don’t go up the hill to the right) go another .7 of a mile and turn right when you see the sign for FR7030. Continue on this road for another 1.3 miles and you’ll see the Kelly Butte Trailhead on your left. High-clearance vehicles are recommended on Forest Road #7030. Be prepared for rocks in the road, dips and steep drop-offs on one side.